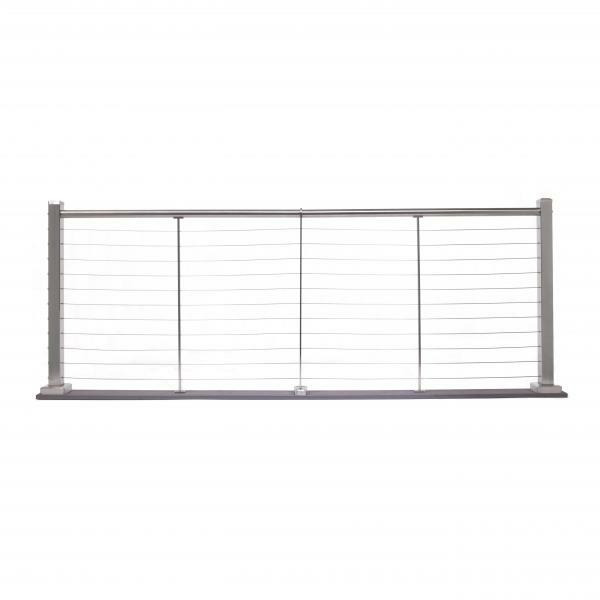 Deckorators has added two new options to its aluminum and cable deck railing collections. For a modern, unobtrusive look, the company has developed the SLX cable railing collection of stainless steel posts and cables. The cable system includes 2 ⅜-inch stainless steel posts and pre-drilled intermediate InvisiPosts in 36- and 42-inch heights. It also features a graspable handrail. In addition, the company has expanded its ALX Classic aluminum line with the addition of the Weathered Brown, which it describes as a”popular color that can add a warm, natural finish to a deck.” The new railing is available in 6- and 8-foot lengths and 36- and 42-inch heights two baluster choices. Pieces are available in kits for easy installation. Deckorators is located in Grand Rapids, Mich., and is a brand of Universal Forest Products.